VIENNA - A man turning dirt in his back yard stumbled onto buried treasure  hundreds of pieces of ancient jewelry and other precious objects in what authorities described Friday as a fairy-tale find. Austria's Federal Office for Memorials said the trove consists of more than 200 rings, brooches, ornate belt buckles, gold-plated silver plates and other pieces or fragments, many encrusted with pearls, fossilized coral and other ornaments. It says the objects are about 650 years old and are being evaluated for their provenance and worth. While not assigning a monetary value to the buried bling, the enthusiastic language from the normally staid memorials office  the department in charge of national antiquities  reflected the significance it attached to the discovery. "Fairy tales still exist!" said its statement. "Private individual finds sensational treasure in garden." 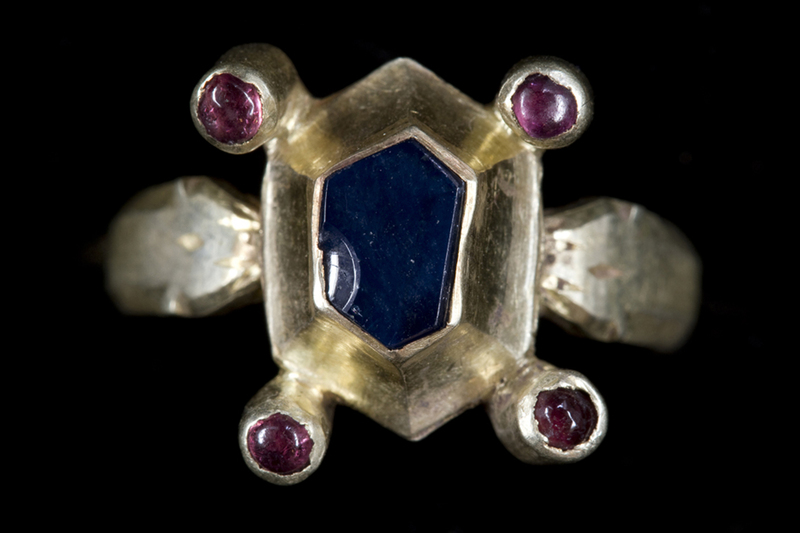 It described the ornaments as "one of the qualitatively most significant discoveries of medieval treasure in Austria." The statement gave no details and an automated telephone message said the office had closed early on Good Friday. But the Austria Press Agency cited memorials office employee Karin Derler as saying the man came across the "breathtaking" objects years ago while digging in his back yard to expand a small pond. The weekly Profil identified the man only as Andreas K. from Wiener Neustadt, south of Vienna, and said he asked not to be named. While he found the ornaments in 2007, Andreas K. did not report it to the memorials office until after rediscovering the dirt-encrusted objects in a basement box while packing up after selling his house two years ago, said Profil. The soil had dried and some had fallen off, revealing precious metal and jewels underneath. He initially posted photos on the Internet, where collectors alerted him to the potential value of the pieces, leading him to pack them in a plastic bag and lug them to the memorials office, the magazine said in its Friday edition. Neither Profil nor the memorials office statement said when Andreas K. first alerted Austrian authorities and it was unclear why they waited until Friday to announce the discovery. Memorials office president Barbara Neubauer told Profil the objects were a "sensational find."